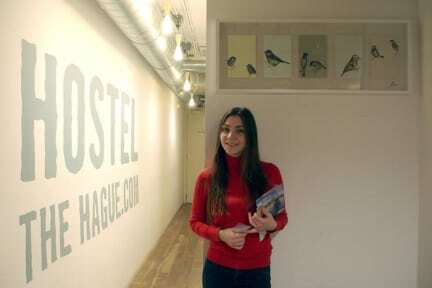 Hostel The Hague - Den Haag i Haag, Nederland: Bestill nå! 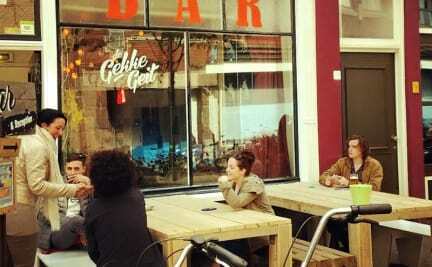 The hostel is located on the best location and our bar is famous for it's live jazz music. we do offer you the best time between travelers,locals and amazing jazz artists. During the week the live music is till midnight and the weekends to 2:00 AM, please be aware of this. The Hague’s main square is only 15 meters away from the hostel, the Peace Palace, the bustling shopping area of the city center and the best museums this city has to offer are all within walking distance. The beach and central station are at a leisurely 10 minutes through the nearby public transport. Guests get access to modern facilities, including internet, and the host is well-versed in The Hague’s culture and events, and can provide you with directions when needed. Please check our website for more information and rates. Cancellation policy: 48h before arrival. In case of a late cancellation or No Show, you will be charged the first 2 nights of your stay. Payment upon arrival by cash, credit cards with pin number (2%), debit cards. When the total price of your booking exceeds 100 EUR you will receive an invoice. Taxes not included - occupancy tax 4.45 EUR per person per night. Coming to this hostel I didn't really have any expectations. But when we arrived it was in the midde of where everything was happening and the place was so nice and cozy. The rooms were decorated nicely and there were new and clean facilities. I would most definitely recommend this to a friend and I will stay here if I ever visit den haag again.